Crossbill Gin’s Glasgow city centre gin school has proved so popular with the public, that after just 2 years, they have unveiled exciting plans to expand their operations. The fantastic success of The Hatchery Laboratory and Gin School, where groups or individuals can spend the day learning about and creating their own gin, coupled with growth in demand for Crossbill Highland Gin, means founder Jonathan Engels has made the decision to expand the current facility at Barras Art and Design into a second unit next door. 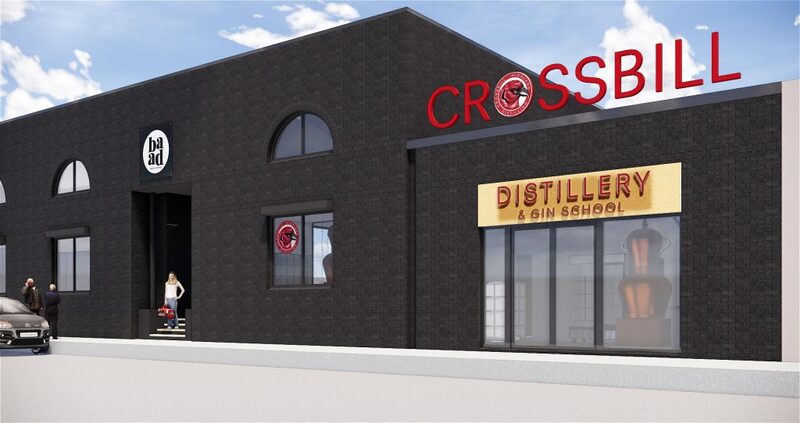 The new space will house a second still for Crossbill Gin production, which will double the capacity for the brand, as well as a new fully-licensed bar area. 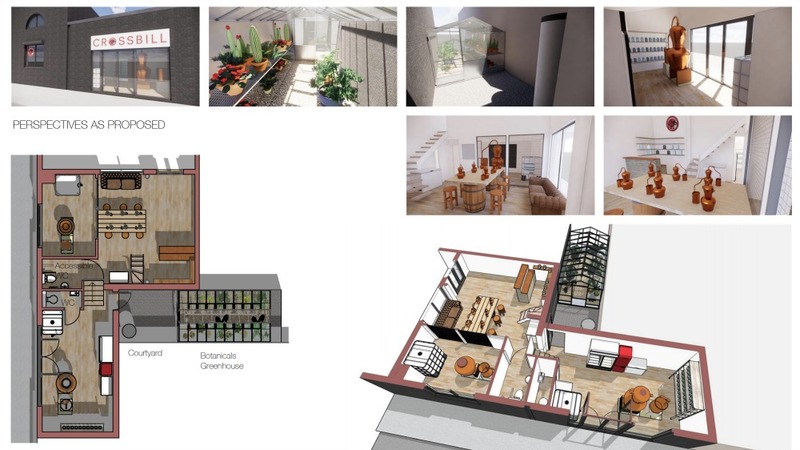 Most exciting of all is the planned installation of a greenhouse in the courtyard behind the unit. The greenhouse will be used to grow a variety of botanicals that are used in gin production such as Angelica, Thyme and Basil as well as a variety of fruits. The plan is that gin school students can carefully select their own fresh botanicals from the greenhouse, to use in their own creations. Jonathan came up with a sustainable solution for the greenhouse heating. He plans to store the hot water coming off the condensers used in the distillation process and use this to heat the south-facing greenhouse. “I’m delighted the we can utilise the waste heat to improve product quality and enhance the visitor experience”. Originally running on the second Saturday of every month, the 12-person gin school was named in a New York Times article as one of the top ’52 places to go in 2018’, and as a result, they are now running up to six classes a week. In addition to the planned expansion, the building will get new signage, helping Crossbill stand out in the local landscape – take a look at the planned front in the artist’s impression below. We’re big fans of the Crossbill Gin Scool, having visited a while ago and thoroughly enjoyed the gin making experience as well as the wealth of gin-making knowledge passed on by Jonathan. We’re definitely looking forward to visiting the new and improved premises when they open, hopefully sometime in March.